Let’s explore ways to utilize the space around and on our bodies and our hoops. Open up your range of dance and motion with off-body and on-the-body hooping, discover how to make basic moves look and feel better, and even create new tricks of your own. Be ready to open your mind and play! A hooper since February 2010, Colleen hails from a large community of flow artists in Eugene, Oregon. She is a member of the University of Oregon’s juggling club and can be found hooping at festivals and electronic parties, as well as the flow arts gathering, Pacific Fire. Colleen is currently in Tokyo for a 4-month study abroad program and will return to America at the end of July. 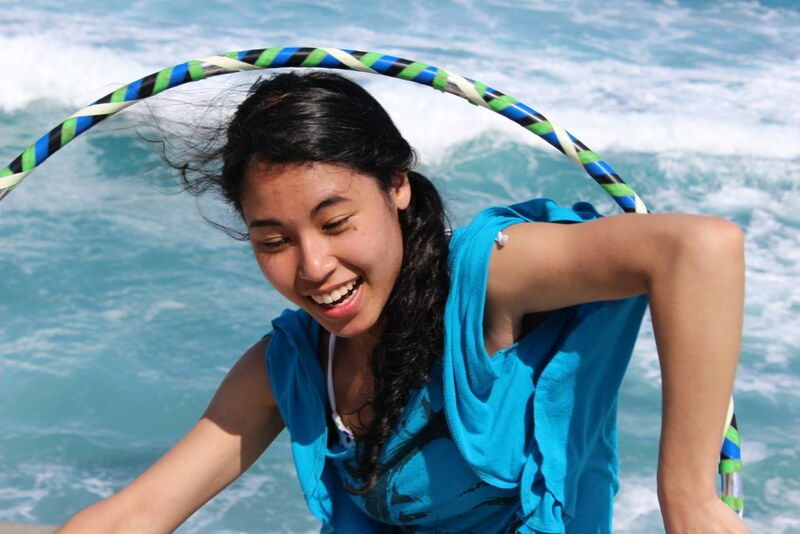 Until then, she hopes to learn from hoopers in Japan and to share with you the hooping styles of the Pacific Northwest.